Thank you for visiting the web site, Please look around. 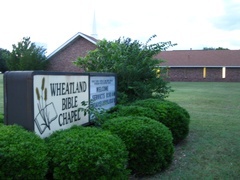 Email wheatlandbc@yahoo.com only for web site or spiritual inquiries. Please no other communications nor solicitations. Facility use/rental: The facility is not available for use/rental by those outside the fellowship.